Now you can browse through the services available via MarketConnect. 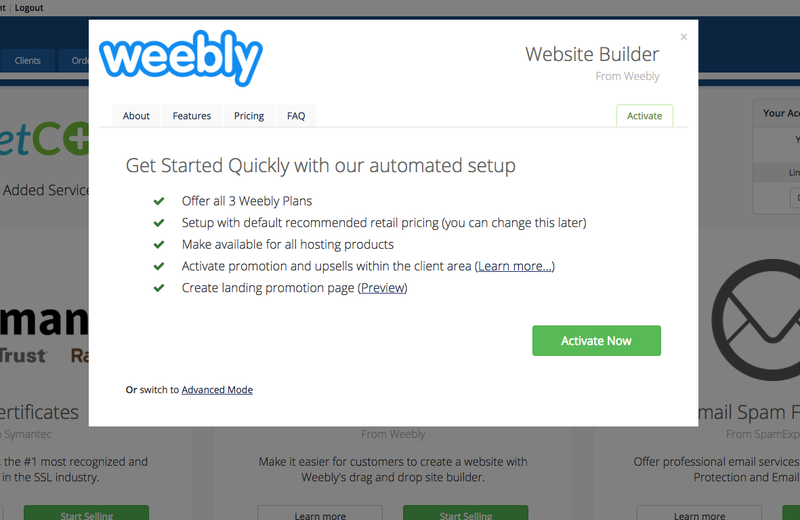 To activate and begin selling one of the services, simply hit the Start Selling button or select the Activate tab within the Learn More popup. 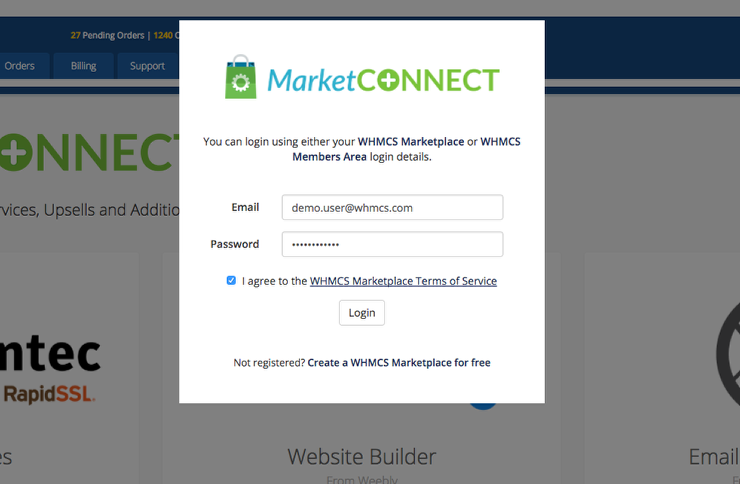 By default you'll see our One-Click automated setup mode overview listing all of the actions that WHMCS MarketConnect can configure for you automatically. 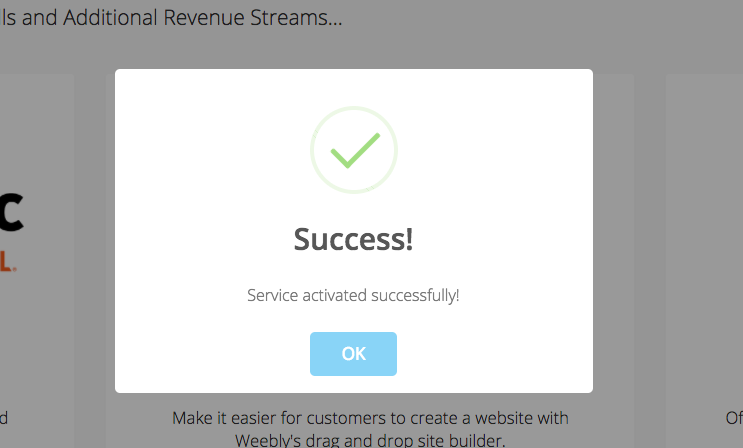 Simply hit the Activate Now button to activate and begin selling the service or select the Advanced Mode link to enter advanced setup. The setup process can take up to 30 seconds. Upon completion you will see a confirmation like the one below. That's all there is to it. 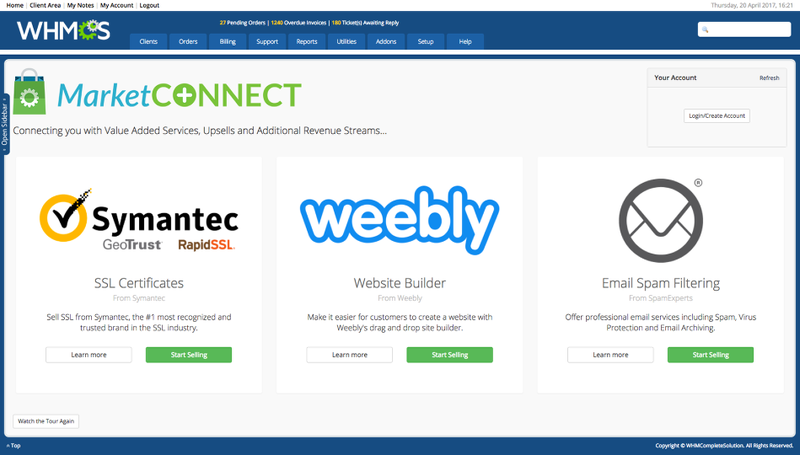 MarketConnect has now created and configured the products and add-ons for you, activated them within your WHMCS installation, and published a link to the landing page in your client area. 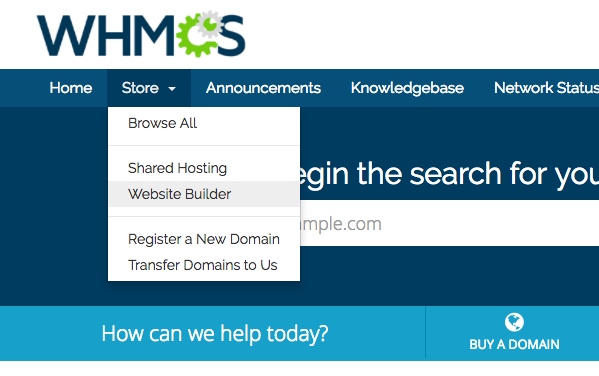 Navigate to your client area where you will find the new service accessible via the Store menu.